Quite a few recipe posts I’ve been getting ready for the blog especially some delicious desserts. I have a love-hate relationship when I decided to make a dessert for the blog. I love to eat it, but I hate what it does to my waistline. But I am willing to sacrifice a pant’s size for my readers! Tonight I’m making French Dressing Chicken which is one of my all time favorite recipes that I made up when Preacher Man and I were first married. I’m on a YA dystopian kick lately so I’m finishing up the Matched trilogy by Ally Condie this week. I have to share a great book I read last week, The Peach Keeper by Sarah Addison Allen. Wonderful book! I stayed up way later than I should have to finish it. I’m definitely going to be looking for more books by this author. To the fish tank gurgling in the back ground and the refrigerator running quietly. It’s blessedly quiet around here for a few minutes. The girls are in the backyard with friends and Monkey is running around town with Beauty Queen. I’m waiting for the back door to slam open any minute and chaos to ensue again. About what to get Preacher Man for Father’s Day. I have no money and I’m quickly running out of time. Any suggestions? Homeschool: I’ve wanted to make Chipette a planner for a while so that she could have a way to keep track of her independent assignments. Each year I am slowly adding more and more independent work for her. I found a great weekly template that I think will be perfect. You can find it here. Home: I don’t know if I’ll ever get around to making something like this, but it looks so cool that I’d love to find the time. Think steam punk meets gardening. Cooking: Do you love bacon? Preacher Man ADORES bacon and would probably eat just about anything if bacon was involved in some way. When I saw this recipe, I knew I had to pin it. This will be on the menu sometime this week. Probably for Father’s Day! My now deceased digital camera. It was my first major purchase after Preacher Man left preaching school. I accidentally jerked it off the counter (the strap had gotten wrapped around my hand) and the parts of the lens popped out, so now it will no longer zoom. I’m saving up for a new camera, but until then if you notice that my pictures look a little off on the blog, it’s because they are all being taken on my camera phone. RIP Kodak Easy Share Z650. That the days with my kids seem to be getting shorter and shorter. 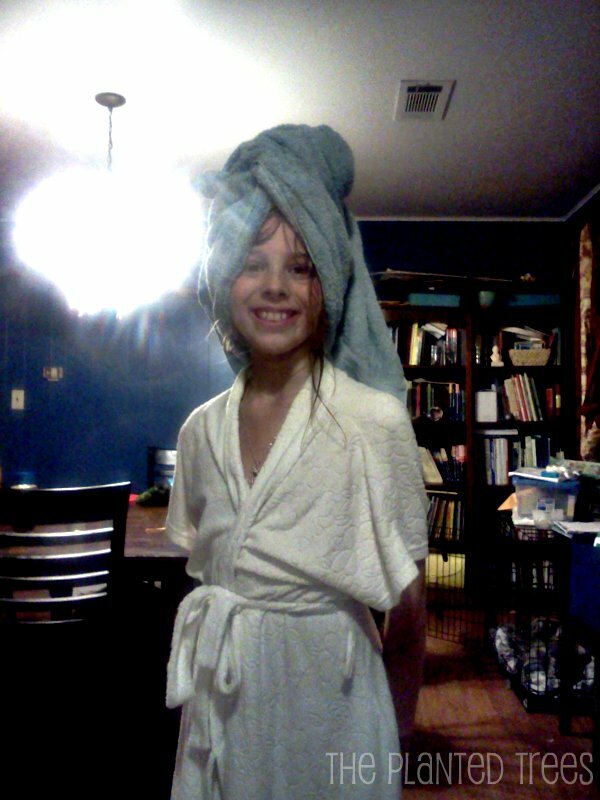 As Chipette walked into the kitchen the other night wearing my robe with her hair wrapped up in a towel and stated, “Look, Mom, I’m a big girl!” Unfortunately that’s only too true and getting bigger every day. Must. Hug. And. Laugh. More.